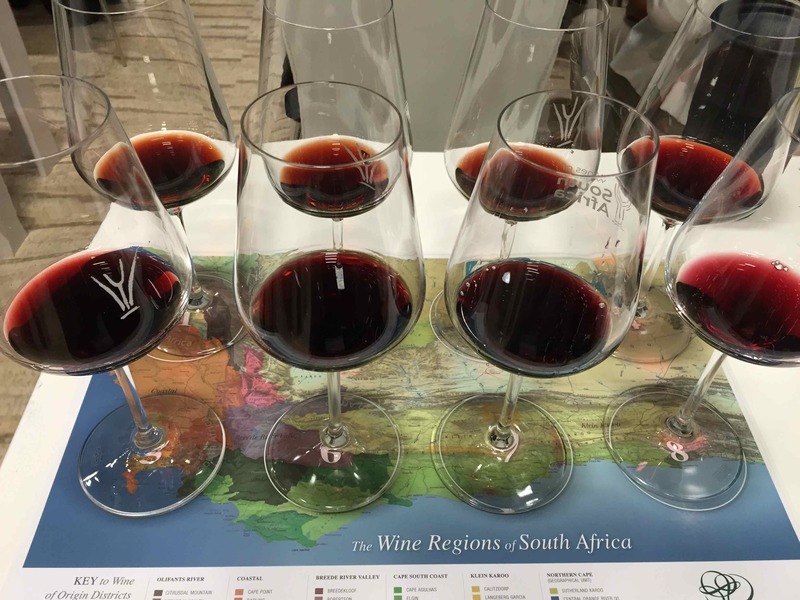 The first official day of the CapeWine 2015 Conference started with a seminar focussing on the New Era for South African Wines and the day went from strength to strength – what a ride we are in for over the coming days! The seminar theme was around innovation and the key role it will play in the development of the wine industry in South Africa as, in the words of the final speaker Wayne Van Rensburg, “Africa is rising” and South Africa is ready to take its place on the international stage. 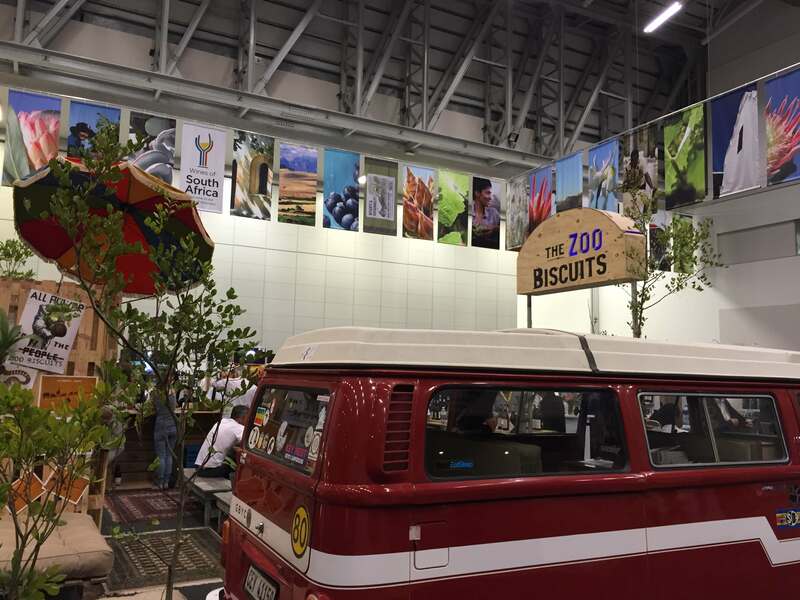 Following the seminar I headed to The Zoo Biscuits stand where a number of producers making tiny volumes of wine were pouring their latest offerings. Sadly I only had time for one tasting, which was with Blackwater Wines and based on the superb wines from this one producer I will be back. Blackwater winemaker Francois C Haasbroek poured a selection of wines from the 2014 vintage. The whites showed good purity of fruit and texture, however it was the red wines that drew me in. With these wines Francois uses a range of techniques such as whole bunch fermentation, varying periods of skin contact and extended ageing in old wood before release. The result is a portfolio of wines that are distinctively individual and most importantly, dangerously drinkable – particularly the Single Vineyard Cultellus Syrah and the Omerta Carignan. Later in the afternoon I attended a Speakers Corner seminar, which is one in a series of small tastings that run throughout each day. The one I attended was Six Decades of Pinotage led by sommelier Higgo Jacobs. We started with a 1967 Lanzerac Pinotage which was quite a surprise; fresh acidity and delicious complexity with dried black fruit, citrus peel, liquorice, nuts and dark caramel – what a treat. The 1972, 1982, 1995 and 1998 vintages followed, finishing with a 2013. The tasting was definitely successful in demonstrating the potential complexity, elegance and longevity of this grape variety. Early evening started with the Decades of Terroir where we tasted through several verticals including the Eben Sadie Columella 2004 – 2013, the Hartenberg, Gravel Hill Shiraz 2003 – 2012 and the Klein Constantia 1987 – 2012. Extraordinary wines and a privilege to taste through the years to see how the wines develop over time. The Hartenberg Estate was particularly interesting as winemaker, Carl Schultz, was on hand to guide us through the years – and with more than 20 years experience working the land and making the wines for Hartenberg we were certainly in good hands. While I enjoyed tasting the entire range of Gravel Hill Shiraz it is the 2003 and 2004 that have stayed in my mind for their contrasting characters; the 2003 showed dense and concentrated fruit and spice flavours with a fresh elegance belying a powerful structure, while the 2004 showed broader fruit and softer tannins making it more forward in style – both very enjoyable. 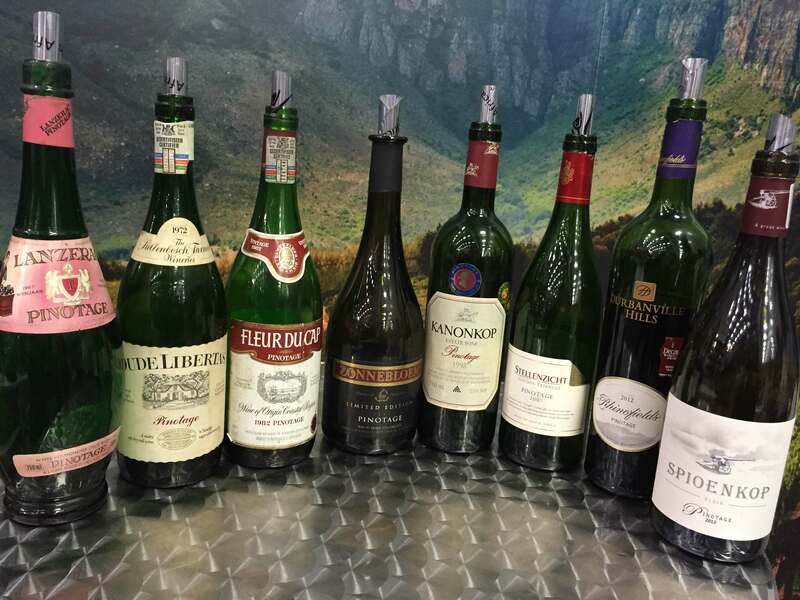 I finished the event by tasting a range of sweet wines from Klein Constantia and was delighted to see the progression from rich, dried black fruits and candied peel through to lighter notes of marmalade and stone fruit as the vintages became younger. My guide for this tasting was Matthew Day, whose first complete vintage making this wine was 2012 and this was a special treat to taste given it has not yet been released. The verdict? Delicious! Our evening concluded with an informal tasting with the Swartland Independent Producers where, once again, I came upon one of my favourite wine from South Africa – Mullineux Wines, but more on that tomorrow when I have visited the stand and completed a more extensive tasting. I cannot wait! What a brilliant line up of events and experiences. Very jealous and interested to hear your thoughts on the Sadie wines as I would have thought that the early noughties are only just starting to get into their stride? 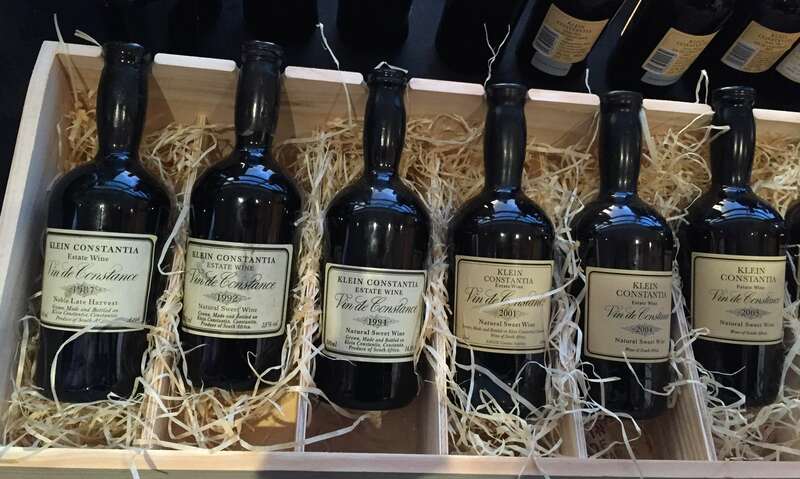 Verticals of Klien Constancia – who can say no?